This unique idea comes courtesy of Pier W here in Cleveland. Over Thanksgiving break I wanted to take my family, in town for the holiday, to a unique Cleveland restaurant. 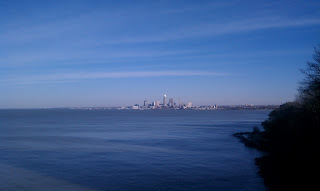 We chose Pier W for their breathtaking views of downtown Cleveland and excellent culinary skills. 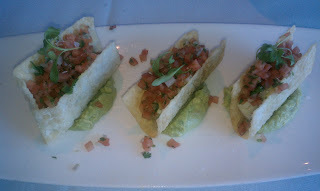 As an appetizer we ordered their tilapia tacos and were impressed by the presentation. 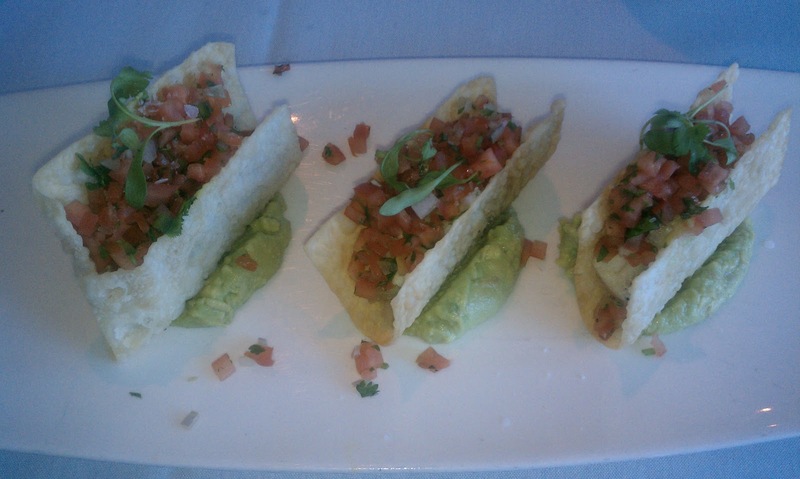 Rather than your typical restaurant that serves the tacos lying on their side with the stuffing falling out, Pier W uniquely places their tacos on a bed of guacamole. This technique holds the tacos in an upright position and prevents the messy fallout of ingredients. I am now obsessed with this idea. Another helpful taco tip that I learned years ago: When serving hard tacos, place a full piece of lettuce between the taco and the stuffing. This will help avoid any content loss due to the cracking and breaking of the taco. The lettuce serves as a backup taco if you will. So you've learned two resourceful, clever ways to serve tacos. Now I'm hungry!